Political science is a modern science which deals with a wide range of phenomena related to the government of a country (in the Ancient sense, politeia). The main goal of any political essay is to discuss issues such as international relations, civic society, forms of government, separation of powers and relations between them, the function of some politicians and their actions, and so forth. When you are writing your political essay, you will see how difficult it is to stay at a distance from the object you analyze. Everyone of us has political preferences and dispositions, favorite party of the politician, favorite personality from history, etc. To write a political science essay seems to be an ungrateful task, as you may gain only disrespect or be subjected to harsh criticism. Do you have any knowledge in the field of history? Or international law? Or history of the biggest international organizations? Well, your political essay will need facts from all these areas. You need to know about constitutions, political crises, important events in the history of mankind, etc. However strange it may be, being familiar with some main principles of economics today is a must-do for every political scientist. Neo-liberalism, socialism, capitalism, and eco activism are still objects of hot debates. Although politics is not governed by natural laws, do not think that political science consists of gratuitous hypotheses and unjustified theories. Political relations are based upon principles and assumptions. There are both subjective and objective reasons for a given act, phenomenon or event in this sphere. Always refer to facts and indicate your sources. Be careful when you set forth your thesis and help the reader discern it from the facts. You should always refer to authorities in order to interpret a given event, act, or other issue which needs to be analyzed. Thus, before starting to work on the political science essay, search for some interpretation (find someone that is well-known and widely recognized). Prepare your thesis accordingly: write that the author X and the author Y support your thesis, and that the event Z can be best explained in the context of their theory. A good political scientist is able to predict future actions and events. The internal logic of your research should lead you to some conclusions which also include predictions, warnings, or recommendations. One of the questions (at least) that you should answer is: what will happen? How will it happen? What will be the causes for that? Who will be involved? Remember: readers like to know more about the future. 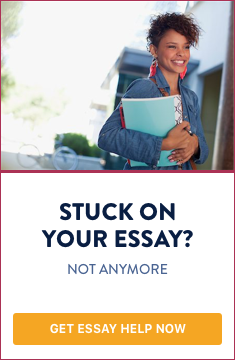 That’s why they may find your essay interesting. Of course, it is not recommended to go to extremes regarding your predictions: leave a short passage at the end of the text and write it down. Your political essay is a piece of academic research, and not a political agenda. Hence, try to adhere to the principles of impartiality and objectivity. Express your personal opinion, but always separate it from the theories, conceptions or facts you refer to in the text. Do you need help with writing a political science essay?